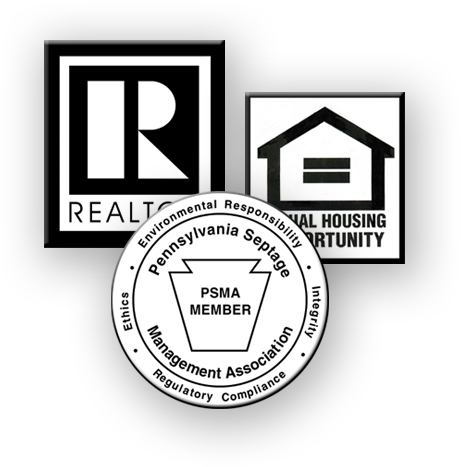 Quantum Environmental Enterprise Real Estate Inspections are performed by inspectors trained and certified by the Pennsylvania Septage Management Association (PSMA). PSMA standards have been described as the “Septic Industry Standard”. The standards employed by the PSMA embody a protocol which when fully applied evaluates every component of the septic system. Septic system components inspected include treatment tanks (number, size and condition), pumps, holding tanks, filters, distribution systems, dosing, lift, siphon tanks and absorption systems. The age, system history, and household occupancy number are verified. Properties vacant for more than seven days require a hydraulic load test. The load test will determine the absorption rate and the ability of the drain field to satisfactorily perform, given the regulations set forth by the Township code, based on structure, occupancy, number of bedrooms and type of system. The hydraulic load test can take up to three days. This evaluation process results in a written conclusion for each component and the overall system. The report will indicate that the septic system is satisfactory, satisfactory with concerns, unsatisfactory or more investigations needed. Each Septic inspection can take several hours to complete, we highly recommend that our clients attend the inspection, and become familiar with the type of system and components that are located on the property. Our inspectors can make recommendations on how to properly maintain the septic system. Once all inspections and tests are completed a inspection report will be issued to the client within 24 hours.